Today, four dispensaries began selling medical marijuana for the first time in Ohio under the Ohio Medical Marijuana Control Program (MMCP). Two of the dispensaries are in the southeast Ohio community of Wintersville, outside Steubenville, and the other two dispensaries are in Sandusky and Canton. A fifth dispensary outside of Cleveland in the city of Wickliffe is expected to open later this week. The only products currently available for sale are plant material, also known as flowers or buds, that state law allows to be vaporized, but, not smoked. Other products, such as edibles, tinctures, and lotions will not become available until marijuana processing facilities are operational. Qualified patients and caregivers are eligible to buy medical marijuana with a doctor’s recommendation for one of the 21 qualifying medical conditions currently enumerated in the law. However, the Ohio MMCP allows for the submission of petitions to add qualifying medical conditions to the program. During the 2018 submission period which ended December 31st, 110 petitions to add qualifying medical conditions were submitted. Of those, 54 failed to meet requirements for consideration. Another 44 were discarded because they encompassed conditions already listed in the law, such as multiple sclerosis, or an ailment similar to a qualifying condition, such as chronic pain. Three petitions were set aside as incomplete, but the committee voted to give petitioners 30 days to add missing materials. Ultimately, opioid addiction, autism, general anxiety, chronic anxiety, depression, and insomnia were selected for more study as qualifying conditions for medical marijuana in Ohio. The committee will consult with medical specialists and experts in other medical marijuana programs on these additional qualifying conditions. The committee is expected to make recommendations to the full Medical Board by June 30. Several months ago, a member of the public petitioned the Ohio Board of Pharmacy to include nasal sprays in the list of allowable forms of medical marijuana. The Ohio Board of Pharmacy accepted public comment on this until January 4, 2019. The Ohio MMCP has not yet made a determination. Many Ohioans have questioned the impact of the Ohio MMCP on the purchase and use of CBD Oil, especially CBD extracted from hemp. The Ohio MMCP has issued a CBD Oil FAQ advising that CBD oil is covered under the Ohio MMCP and cannot be sold in Ohio unless dispensed through a licensed dispensary under the MMCP (FAQ sheet here). Ohio law defines marijuana as “all parts of a plant of the genus cannabis,” which would include hemp. For an in-depth update of the Ohio MMCP, join attorney Mark Barnes Wednesday, February 20, 2019, from 1:30 PM – 2:30 PM for a free webinar. Mark will address all of the latest updates as well as common questions from employers. What is medical marijuana? When does the law become fully operational? Where does the law stand on reciprocity? What qualifying conditions are acceptable under the law? What is the difference between THC and CBD? How does the MMCP impact drug screen processes in the workplace? 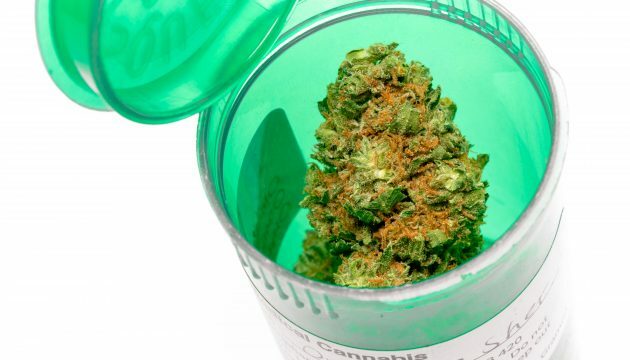 Can employers prohibit medical marijuana use? Are employers required to accommodate an employee’s use of medical marijuana to treat a disability? What changes, if any, should be made to a company’s current drug policy? How might Michigan’s recreational marijuana law affect our workplace? Where are we headed? Register now for the answers to all of these questions! Offering 1 SHRM PDC.